WE WORK WITH SHOPIFY TO SYNC YOUR TRANSACTIONS, SALES, DEPOSITS, EXPENSES AND PAYMENTS- AUTOMATICALLY! 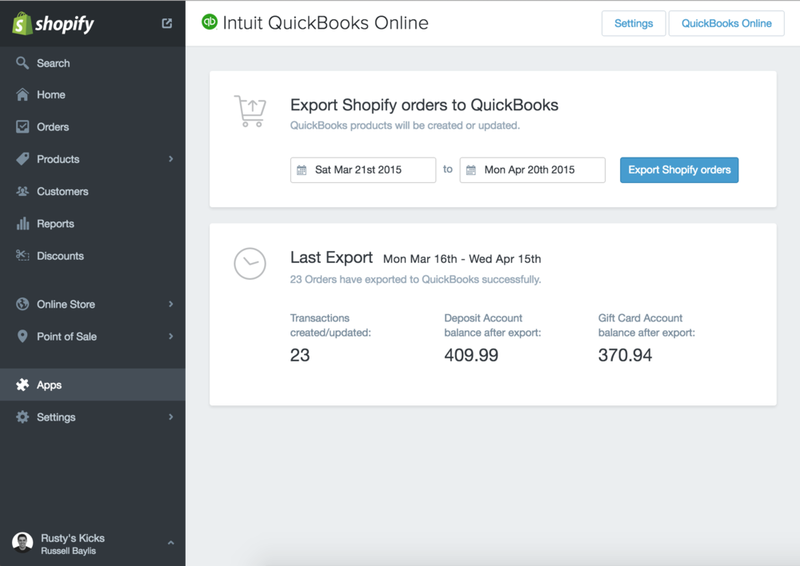 QuickBooks for Shopify allows you to seamlessly export all of your Shopify sales to QuickBooks, directly from your admin. With a single click, your order data (including line items and taxes) are automatically sent to your QuickBooks Online account.